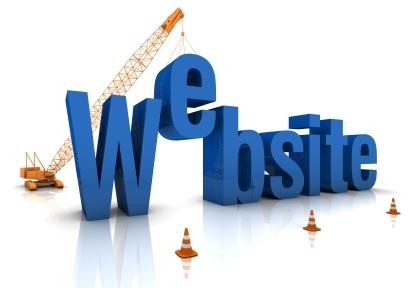 The development of a website is a cooperative effort. TOGETHER, we will create an online representation of your business. You know your business ...I know websites! TOGETHER, we will define the objectives of the website. All my services begin with a free initial consultation to determine your requirements. I work closely with you to determine your exact needs and desires as well as gather information about your company, services, audience, purpose, site goals, and more. TOGETHER, we will register your domain name and facilitate hosting of your website. If you don’t already have a domain name, we can brainstorm and research to see if the name you want is available. You don’t have to worry about technical aspects of your website - I become your one stop shop for your web presence. TOGETHER, we what functionality is needed. I will ask you to provide examples of websites you really like (both look and feel and functionality) and links to your competitors’ websites. If you want, you can also have a look at my past work and let me know any website elements you liked and I can incorporate the same into your website. TOGETHER, we survey what images and text are needed. I can provide you with access to thousands of royalty free stock photos, professional copywriting services and creation of logos and graphics. Or, you can provide me with the images, text and any other content for your website that you would like. I will put an artistic "mockup" of what your website will look like on a test site and send you the link so you can review it. During the design process, revisions are a common occurrence. Estimates are based on a limited number of revisions/changes. It is my experience that no more than 2 revisions are needed. Therefore any significant revisions or changes in excess of 2 will incur additional fees. Once a client has signed off on a particular page or section, if it needs to be revised, the client will usually incur additional costs, depending on the scope of the changes. After receiving your final approval on the "mockup", I combine my artistic skills and technical know-how to design and develop the actual site, incorporating the design and all of the content that you provide. After final approval and payment has been received, your website will be published on your domain, and it will be live for the entire world to see! After your website is launched, I will work TOGETHER with you to establish a regular review and maintenance schedule of your web site to accommodate your requests, user feedback, system upgrades and any new emerging web technologies.